This book exceeded my expectations and left me with a lingering feeling of solitude after the huge mix of emotions experienced throughout the novel. 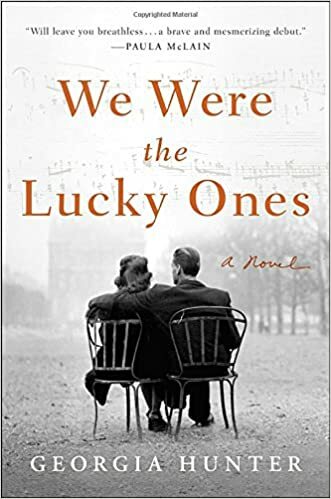 Even before reading the first chapter I knew that it would be a mentally challenging read, as can be expected with any novel based around a Jewish family in World War II Europe. However, the scope of narrative and intertwining stories of each character set this book apart from many similar historical fiction novels set in this time period. As each character fights through their own person battle in order to survive the struggles of the war, the reader is immediately enveloped in their world and understand just how many close calls each one had to suffer. I was particularly drawn to Addy’s story as his character followed a path not often discussed in books of this genre. From France to South America, his journey was perhaps one of the most strenuous, having been separated for over 10 years from his family before reuniting again. I sometimes found it challenging following the journeys of the other characters, as after separating at Radom in Poland at the beginning of the war, each was strewn across Europe or Asia, often not crossing paths until the very end of the novel. However, the pretexts before the beginning of each chapter summarising the key events were particularly useful in cross referencing against the events in the timeline of the novel and added an extra dose of grief towards the end. Most heart-wrenching of all was knowing that the novel is based on the author’s personal history and ancestry, though despite the anguish and despair exposed throughout the book, she successfully described the reunion scene with a mixture of relief, love and courage. My opinion still remains the same even after contemplating on this novel for several days. The contrast in character traits, coupled with the collection of valiant scenes make for an exciting read and take us on a rollercoaster of a ride that can only be acknowledged by reading the book. I thoroughly recommend to all lovers of adventurous reads and those who yearn to see love and hope prevail even in the most desperate situations.